Every year we see innovative products introduced to the motorcycle community that make riding safer and generally just a more enjoyable experience. When we sat down to discuss what new innovations were sufficiently exciting enough to include in this article, we could have easily turned this into a list of the top 25. We settled on the top six new motorcycle products and rationalized that offering our customers more product information rather than less was the way to go with the limited amount of space. This is the first high speed flip-up helmet with an internal antenna. Light, quiet and compact features have characterized the Schuberth C3 flip-up helmet for years. Now Schuberth is presenting a completely updated premium partner to the base model C3 – the C3 Pro. The C3 Pro features a molded rear spoiler developed in the Schuberth wind tunnel for minimizing buffeting at higher speed riding. The internal antenna and Bluetooth receiver enhance the communication range up to 1/2 mile and FM radio reception for the Schuberth Rider Communication System. The refined inner lining offers a plush, comfortable fit. The new vent scoop boosts airflow through the helmet to over 2.5 gallons of air per second at 65 mph. With a wind tunnel tested sound rating of just 82 dB(A), the C3 Pro is the quietest Schuberth helmet ever. It is light weight at only 1,650g (+/- 50g depending on shell size) is DOT FMVSS No. 218 approved. The Schuberth C3 Pro comes with a 5 Year warranty and 3 year service plan that includes a free helmet inspection and adjustment. Included in the packaging is a detailed instruction manual in English, French and Spanish. This helmet is easily fitted with an SRC intercom system. Included is “The Schuberth Mobility Program” that offers you the opportunity to replace a crashed helmet with a new one of the same model for 1/3 of the current retail price within one year of the crash. Optional headset fitting for riders with J&M on-bike systems is NOW available directly through J&M. 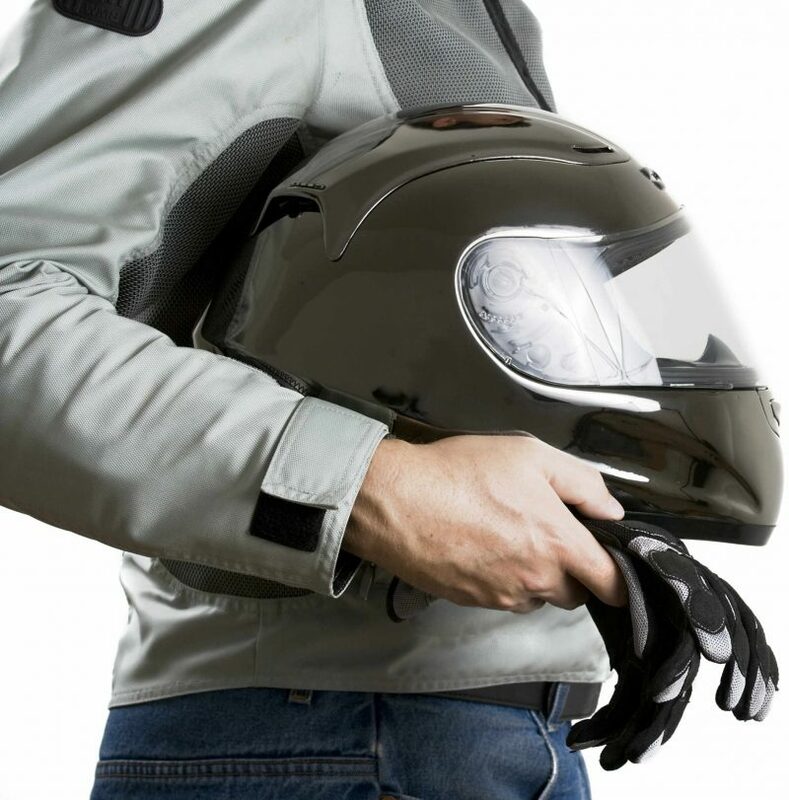 The Schuberth Helmet must be purchased through an authorized Schuberth Dealer selling DOT approved C3 or C3W helmets and then sent to J&M for the fitting. J&M can be reached at (800) 358-0881 for more information or visit their website. BMW Motorrad USA recommends the Schuberth C3 as the helmet of choice for riders of the BMW K 1600 GT/L equipped with the BMW Audio System with Bluetooth® connectivity. Real-time GPS-based security and tracking is here. The simple, easy to use, web-based control panel allows owners to instantly locate and control their vehicle through any computer, smartphone or tablet. This Kryptonite product is compact and discrete, made to look like an OEM part. It is vibration, water and heat resistant making it perfect for all powersport vehicles. The Kryptonite GPS system is easy to install and configure and usually only takes around 30 minutes. Features include starter disable / enable (included optional relay installation required to work). Alarm, low battery, fall-over and towing / movement and speeding notifications. Real-time tracking with geofence capability. The best part is that it doesn’t drain the battery – draws 4mA in “rest” mode. There are no monthly fees, 1-year service included. The yearly renewal fee lower than most systems charge per month. Product registration and activation is required prior to installation. This service is only available in the US, including Alaska and Hawaii. The Dimensions are 4 1/2″ x 2 3/8″ x 5/8″ with a weight of 6oz. It includes (1) fall-over sensor, (3) snap lock splice connectors, (2) hook-n-loop peel-n-stick fasteners, (1) relay and (1) socket. You no longer need external weights to balance your tires. Made from micro-glass beads, Counteract balancing beads increase tire life and improve fuel economy. They also reduce vibration and heat build up and keep tires balanced all the time, not just at over 30mph like other products. There is no rebalancing every time you come to a stop and no dust to clog valve cores. Counteract motorcycle tire balancing beads are guaranteed safe for all tire pressure monitoring system (TPMS) and can be used in tube type and tubeless tires. You simply throw in a bag when mounting a new tubeless tire or use the DIY kit for “on the bike” and tube type installation. The AX-10 visor insert offers the luxury of automatic and manual tint control to deliver the unparalleled speed and convenience of e-Tint®. Program the inside electronic driver to your desired light threshold and you visor will tint automatically with changing light conditions. An additional feature includes a front-mounting external switch to change the tint manually without lifting the faceshield. It offers both automatic and manual control of the patented liquid crystal technology. Superior anti-fog coating keeps the visor clear for safe riding. It also has additional UV protection built in. The system comes with a USB rechargeable lithium battery and installs without tools. The AX-10 is not compatible with all helmets and faceshields, specifically the Arai, HJC RPS-10 and Shark Evo Line helmets. There are many types of cameras on the market that attach to a helmet or a machine. The problem with this is having to worry about tree branches and bushes knocking the camera off. You also spend valuable riding time trying to make sure the camera is pointed in the right direction to record what you want to record. With the new Liquid Image camera goggles, you will no longer have to worry about this. The Liquid Image Impact Series HD is a MX goggle with an integrated true POV HD video camera. The goggle contains a 136 degree (FOV) wide angle lens with “Line of Sight” video capture to record all the action while riding motocross, ATV or downhill biking. With a heads up display inside the camera, you are notified when filming starts and stops, as well as being notified when photos are taken. The hands free unit has a 12.0 MP interpolated (4000 x 3000) camera mode and a video mode that records HD1080P video (1920 x 1080) at a rate up to 30 frames per second with audio and an additional High Action mode that features HD720P video (1280 x 720) at 60 frames per second. The Impact Series HD can hold a Micro SD/SDHC card up to 32 GB. Product includes a 4GB Micro SDHC card and a Rechargeable Lithium Battery for 1.5-2 hrs in the HD Video Mode. With the use of a micro SD/SDHC card, the camera is capable of recording thousands of photos or hours of HD video and can be downloaded to a computer through the High Speed USB cable provided, or through a Micro SD/SDHC card. The Impact Series features a single lens designed for summer use and can be customized to fit a variety of single and dual vented lenses for different environments. The lenses are made of an optical Lexan material which is durable and impact resistant and 100% UV protected. The lenses come with an anti-fog treatment and include Iridium lens coating for accurate Light Transmission. The Impact Series Goggles can be converted to a Snow Goggle by changing the lens, nose guard, and strap for Xtreme Sport Action during the winter. GMAX is excited to introduce the newest addition to their street helmet line-up, the all new GMAX 78s Full Face Street Helmet. It is constructed of lightweight D.O.T. approved thermo-plastic ploy alloy shell with a new integrated multi-function red LED rear light with three distinct settings; steady on, slow flash and rapid flash. It also has an optional wireless L.E.D. brake light kit available. With the GMAX “D.E.V.S.” an adjustable “Dual Exhaust Venting System” top, side and rear venting reduces fogging and sweating by allowing hot air to escape from the mouth area and top of head. The chin vent directs air upward across the inside of the shield to help reduce fogging. The interior and styro are designed for controlled air flow. Included is the new inner flip tint sun lens with the best anti-fog coating available today. The inner flip shield is easily raised or lowered with a lever located on the exterior of the helmet. It has a hard coated outer lens for longer lasting clear view. The large eye-port offers an improved range of vision and the removable, washable interior and cheek pads make cleaning a snap. The deluxe ear pockets for better fit and comfort serve a dual purpose with built in speaker pockets for communication systems. To top it off excellent shield sealing reduces unwanted air and noise. As new and exciting products hit the market we will continue to bring them to you first. Riding motorcycles is a part of who we are and we will continue searching for ways to make our sport more safe and enjoyable for all. Ride Safe!